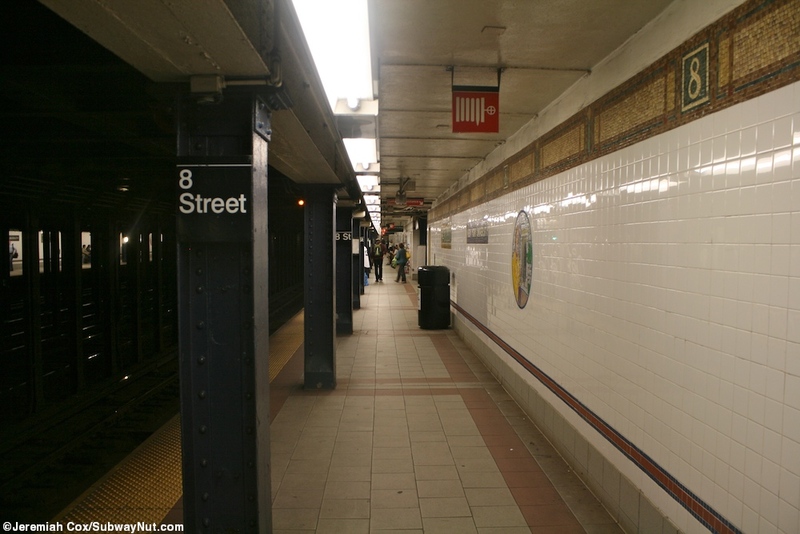 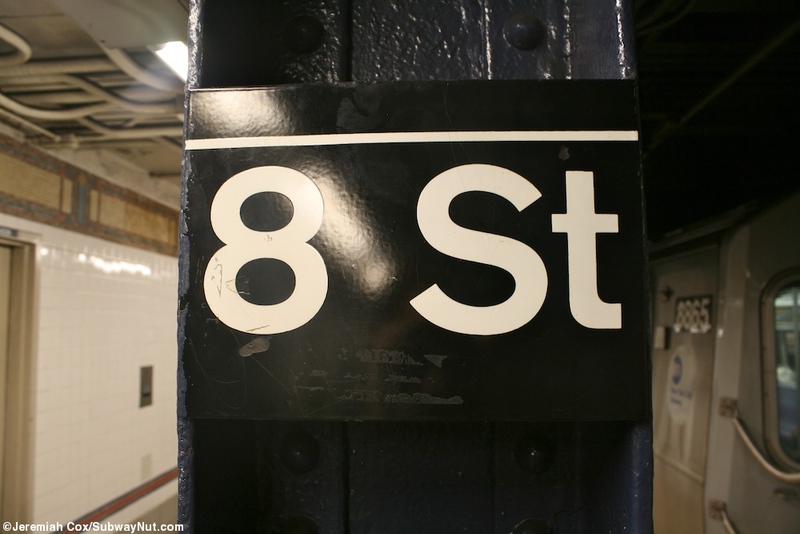 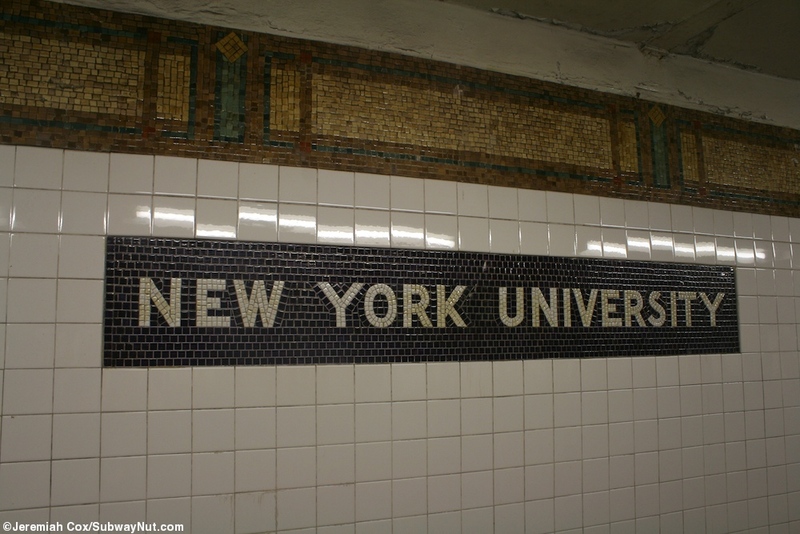 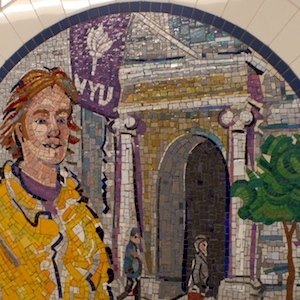 8 Street-NYU is a BMT Broadway Line Local Stop with two side platforms for the four track line and no free crossover or under. 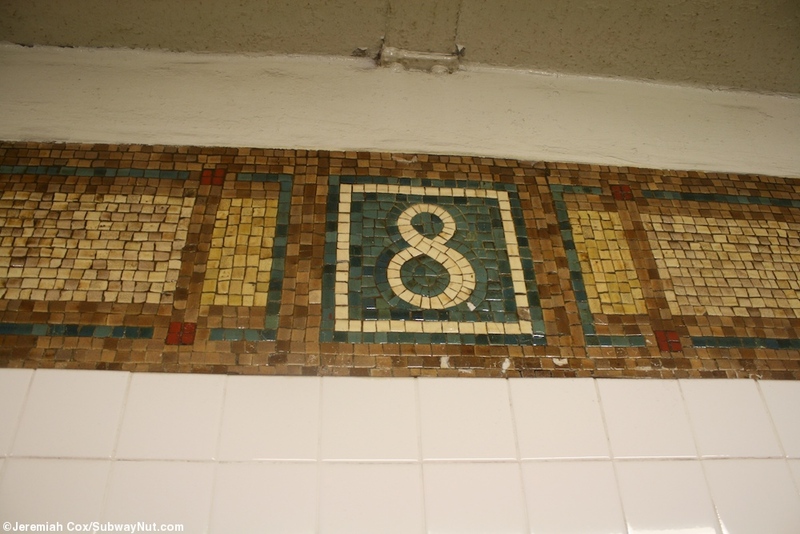 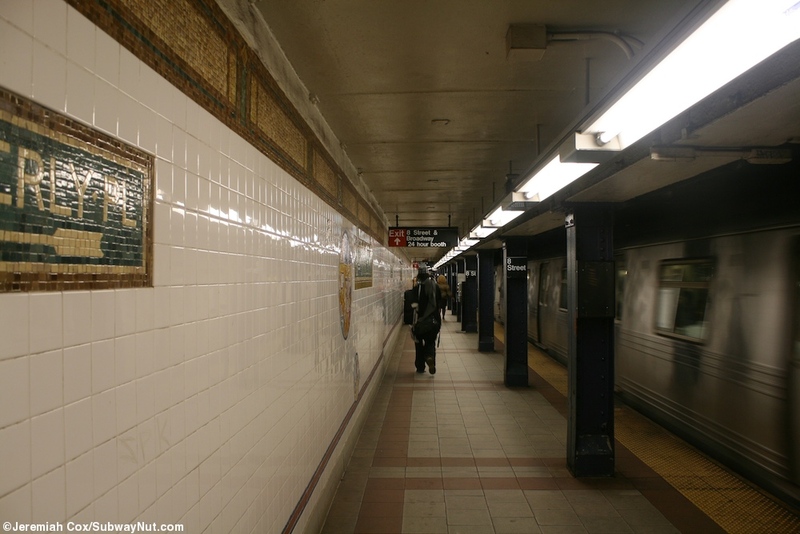 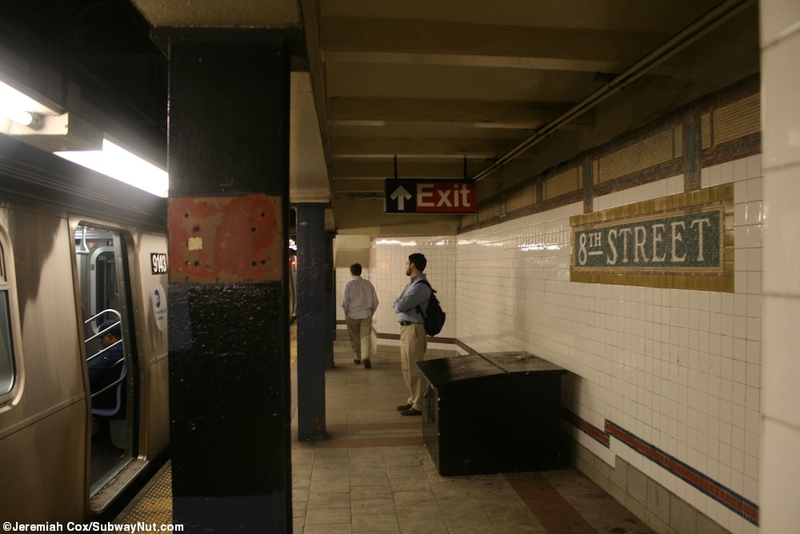 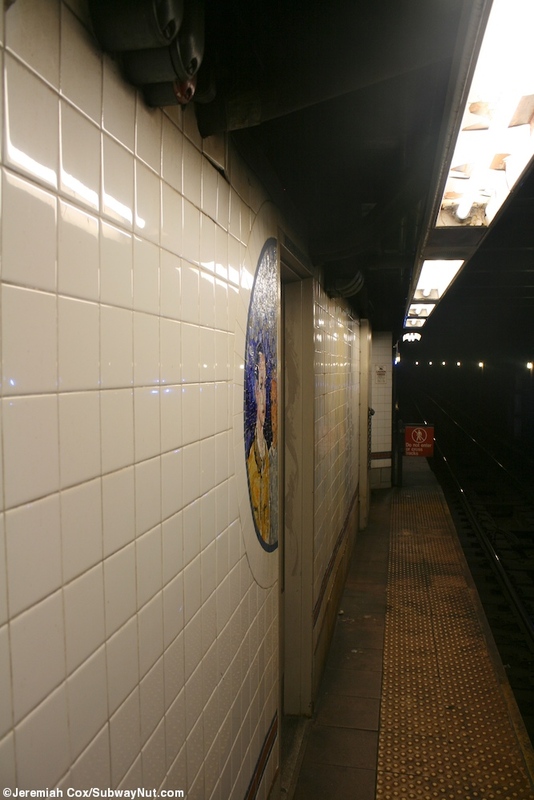 The stop has two narrow side platforms with blue columns that get dangerously narrow at their extreme ends that were renovated again in the early 2000s restoring the teens-era tiling of a trimline consisting of shades of gold for the solid sections with a brown boarder and a green background for 8s at regular intervals. 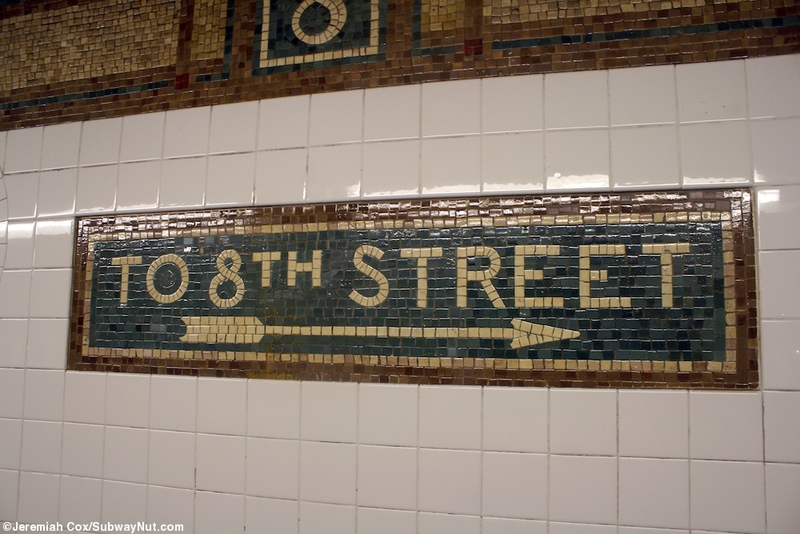 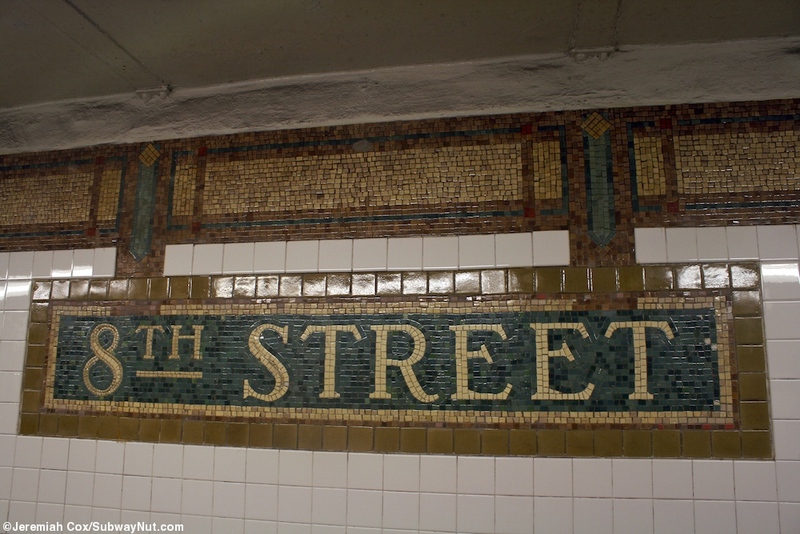 Name tablets say 8th Street off white on a green background with shades of golden yellow forming the boarders. 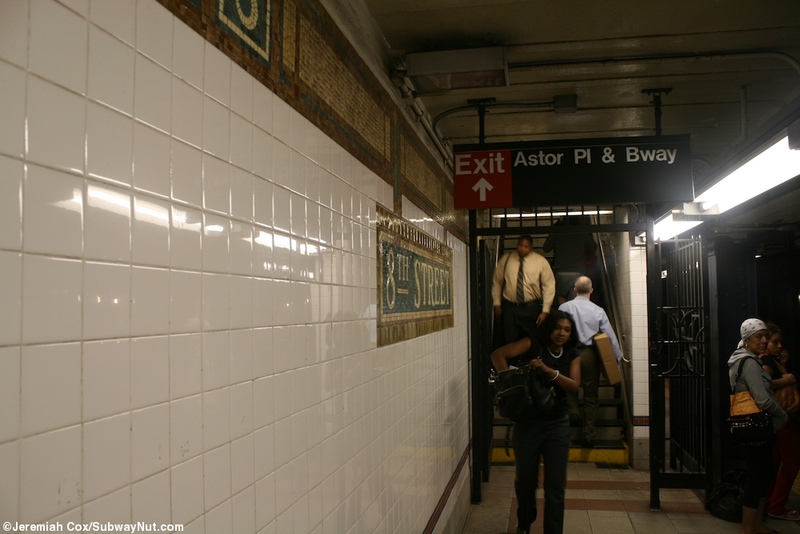 This was first covered over with the 1950s era cinderblock type walls in a previous renovation. 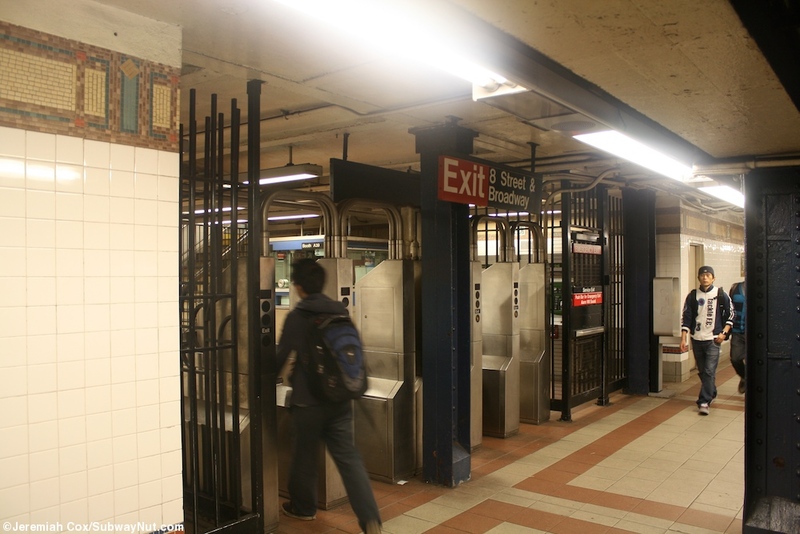 Each platform has two exits the main one is towards the northern end of the station both sides have a bank of turnstiles. 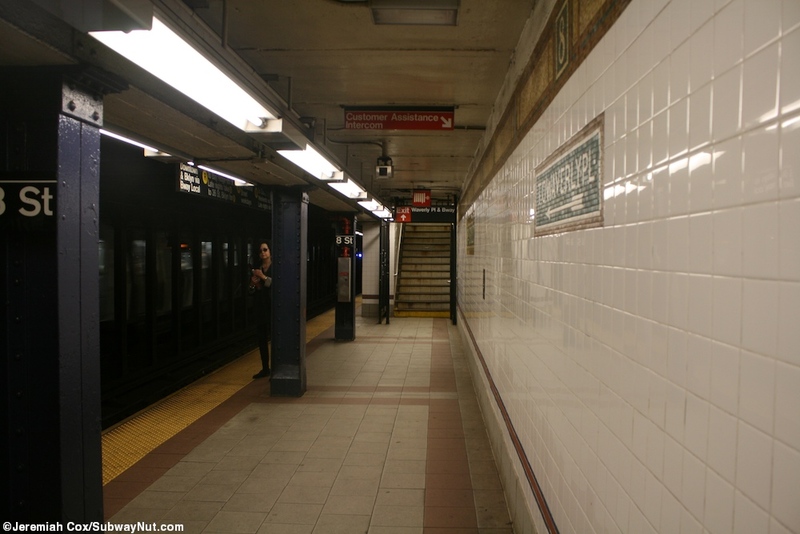 The uptown platform to one street stair each on the NE and SE corners and the downtown to two on each the NW and SW corners of 8 Street and Broadway. 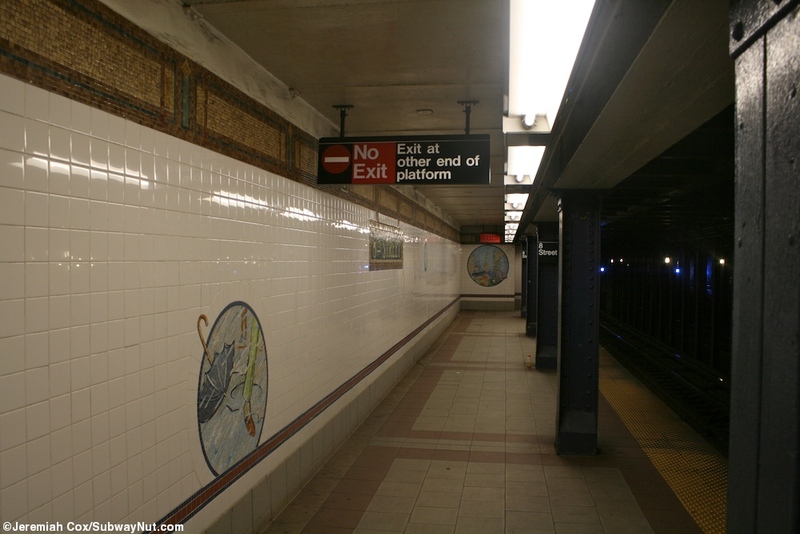 Each platform has a secondary entrance towards there southern ends. 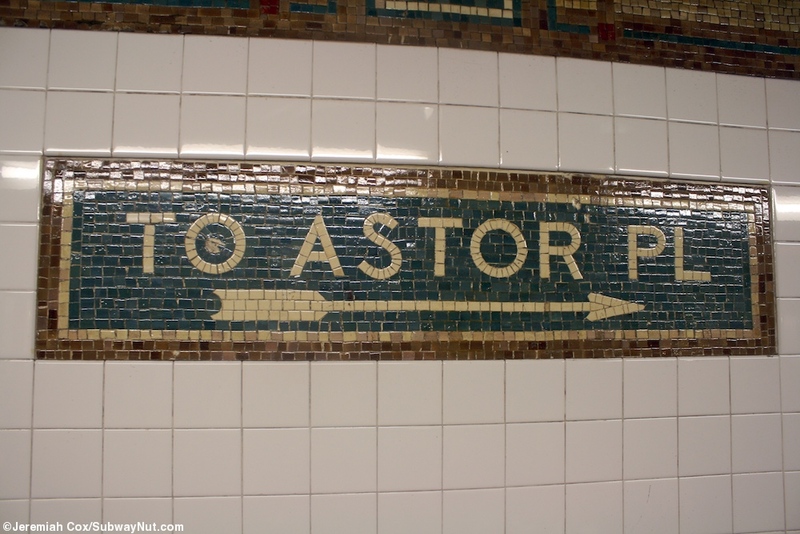 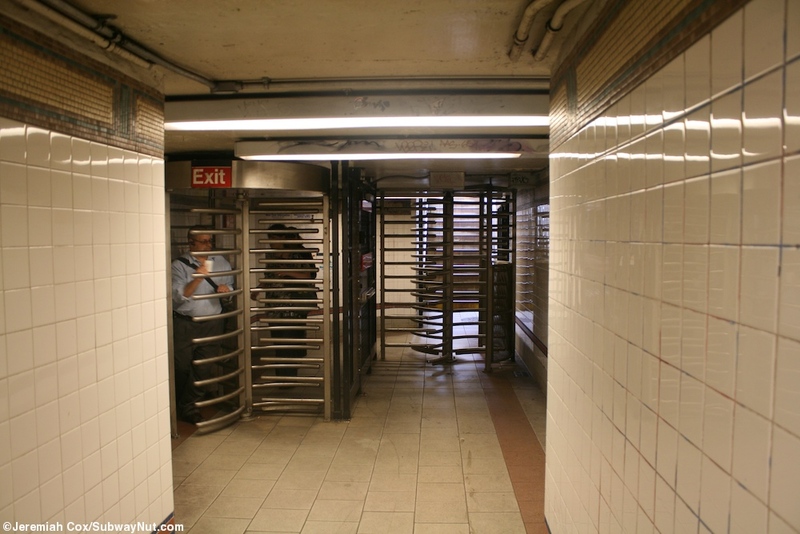 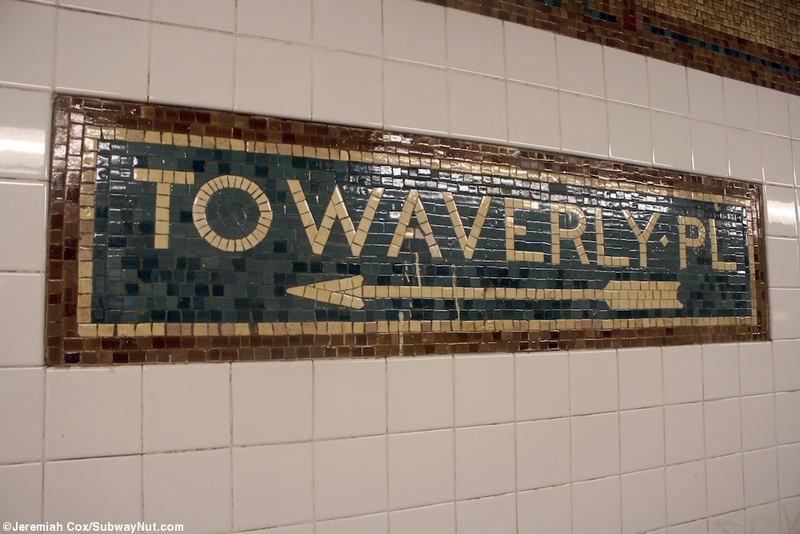 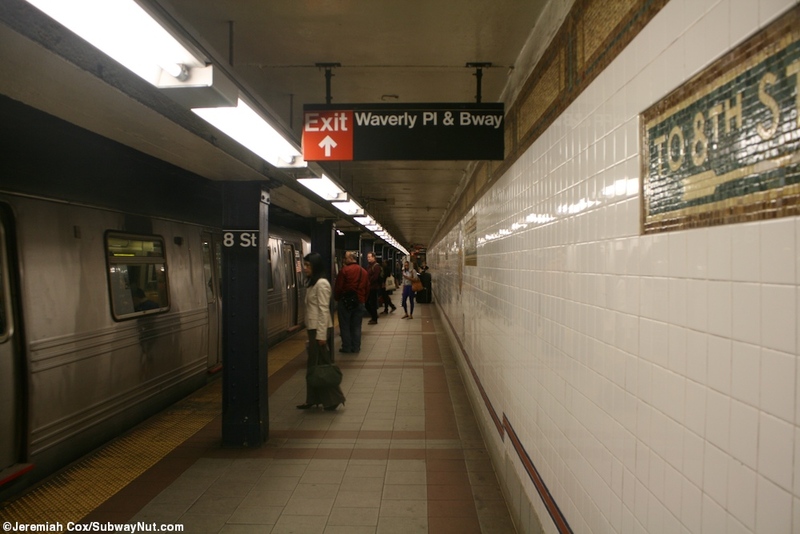 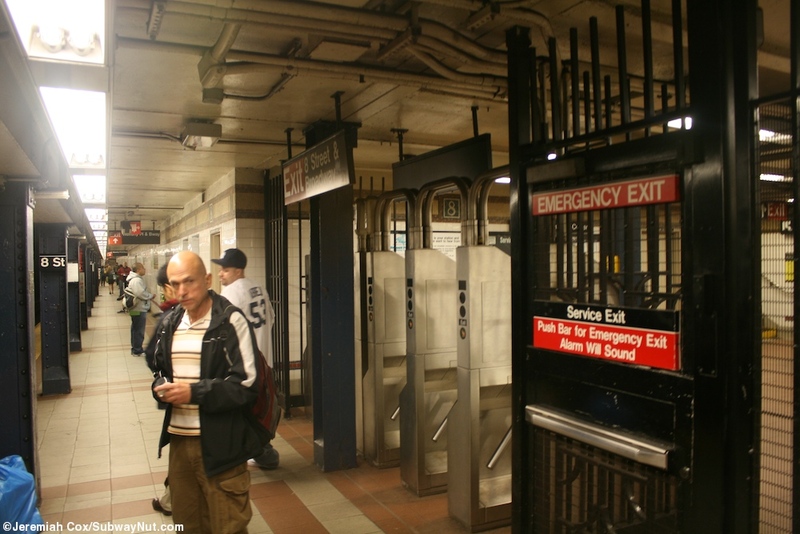 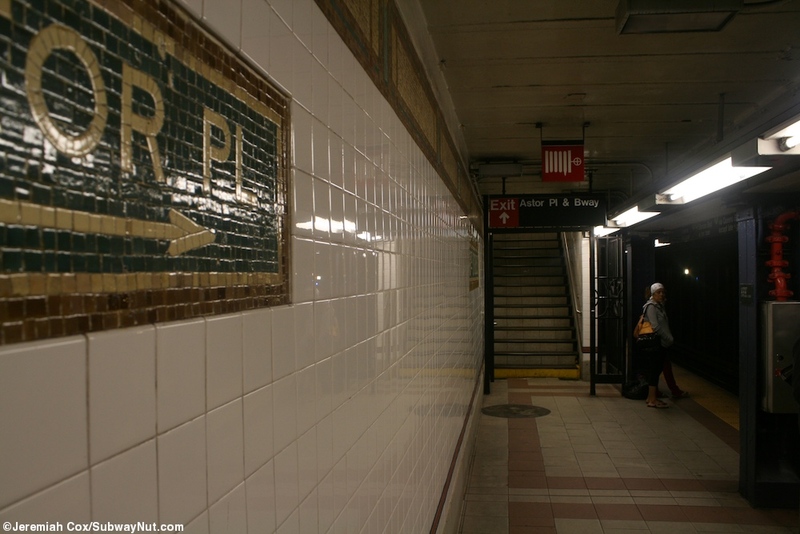 A staircase leads up from each platform to a tiny mezzanine landing (above each platform) where there are two High Entrance/Exit Turnstiles, not even enough room for a TVM before a streetstair on the uptown side at what would be the NE corner if Waverly Place did not end at Broadway (the mosaic on the platform says the exit is to Astor Place) and the downtown side at the NW corner of Waverly Place and Broadway.